Drink 1 scoop with 8 oz. (240mL) of water, cold or hot as preferred. NOT for use by individuals under the age of 18 years. Do not use if pregnant or nursing. Consult a physician before using this or any product if you have, or have a family history of, including but not limited to high blood pressure, cardiac arrhythmias, heart, liver, kidney, thyroid, or psychiatric disease, phenochromacytoma, diabetes, asthma, recurrent headaches, anemia, nervousness, anxiety, depression or other psychiatric condition, peptic ulcers, Parkinson's disease, glaucoma, difficulty in urinating, prostate enlargement, or seizure disorder, or if you are using a monoamine oxidase inhibitor (MAOI) or any other dietary supplement, prescription drug, or over-the-counter drug containing ephedrine, pseudoephedrine, or phenylpropanolamine (ingredients found in certain allergy, asthma, cough or cold, and weight control products). Do not exceed recommended serving. Exceeding recomended serving may cause serious adverse health effects, including heart attack and stroke. Discontinue use and call a physician or licensed qualified health care professional immediately if you experience rapid heartbeat, dizziness, severe headache, shortness of breath, or other similar symptoms. Keep Out Of Reach Of Children. 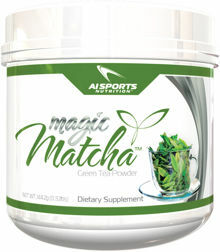 Magic Matcha also known as Matcha Green Tea; is one of the most pure, most delicate, most cared for Green Teas on the planet. The measures taken to assure the purity are unbelievable. Grown in specially shaded fields in Japan, the tea is then covered with special tarps 4 weeks prior to harvest. Doing this limits the sunlight that reaches the leaves, making them produce more chlorophyll, which gives the leaf the amazing green color that it has. After harvest, the whole tea leaf is then ground by granite stone meals, producing an extremely fine powder. Grinding the whole leaf results in a full-bodied, high antioxidant, high phytonutrient green tea drink. 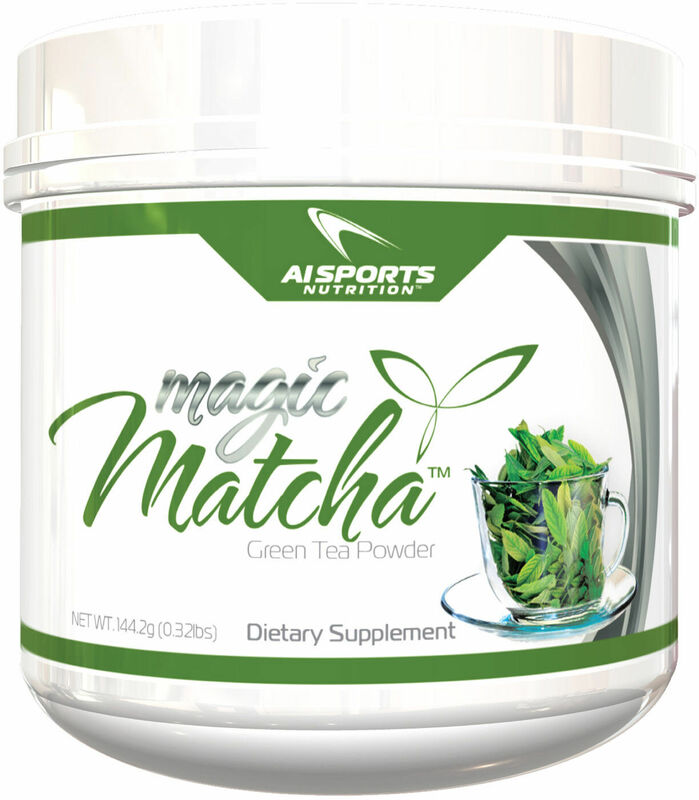 Maintaining the whole leaf ensures that Magic Matcha drinkers consume a higher concentration of antioxidants, vitamins, minerals, and fibers than other green teas. A quick comparison of Magic Matcha vs. Regular green tea tells the whole story.